Come learn about our volunteer opportunities for this summer! Meet the enthusiastic staff of BVH and learn what happens behind the scenes. 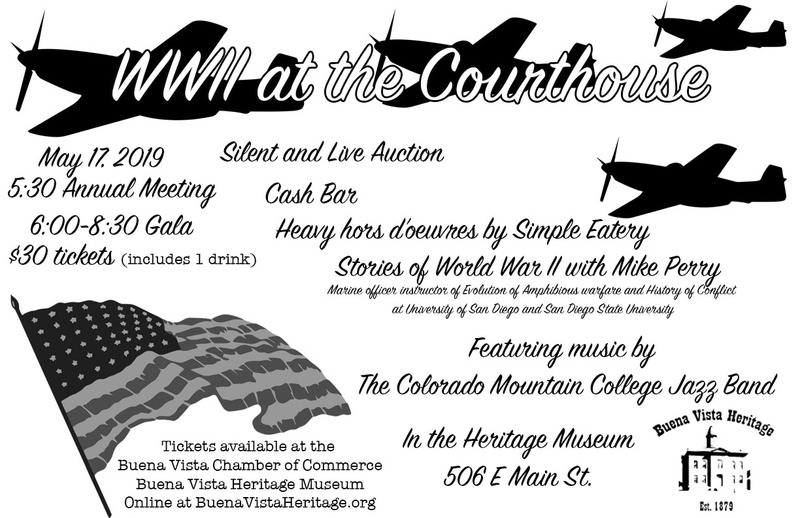 Come celebrate our new temporary exhibit and step back in time to the 1940's. July 20 & 21 - RailFest Weekend. A weekend of rail history of the Colorado Midland, Denver South Park & Pacific, and Denver Rio Grande Railroads. REGISTER HERE! 7:00-9:00 Layout and Factory Tours: BK Switches, Trout Creek Engineering, Classic Miniatures, and Tru-Scale Models. Home Layouts of Harley Hamilton and Vic Kuklin. Carpool tour of the Denver South Park & Pacific RR from Buena Vista to Hancock. Tour narrated by local historian Suzy Kelly. Optional hike to the east portal of the Alpine Tunnel. Due to peak season, please contact the Buena Vista Chamber for available lodging. 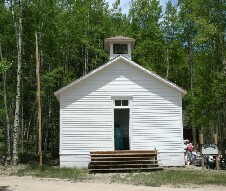 St. Elmo Schoolhouse and Town Hall: open most days June - early September. We're proud of this restoration project. The St. Elmo Schoolhouse Museum is decorated with original, and mostly local, artifacts typical of a one-room schoolhouse at the turn of the last century. The Town Hall has a small exhibit on life in St. Elmo. 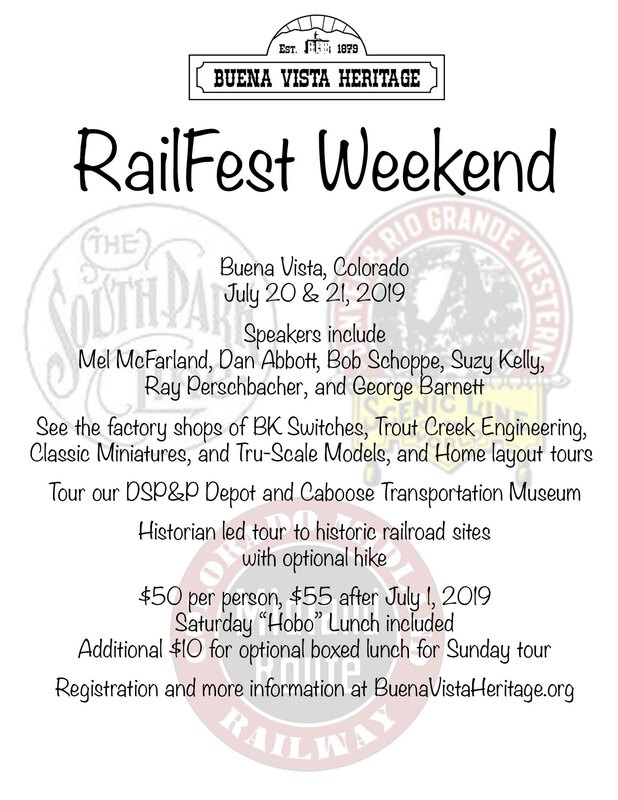 Buena Vista Depot Transportation Museum Summer hours to be determined. Winter tours by appointment. 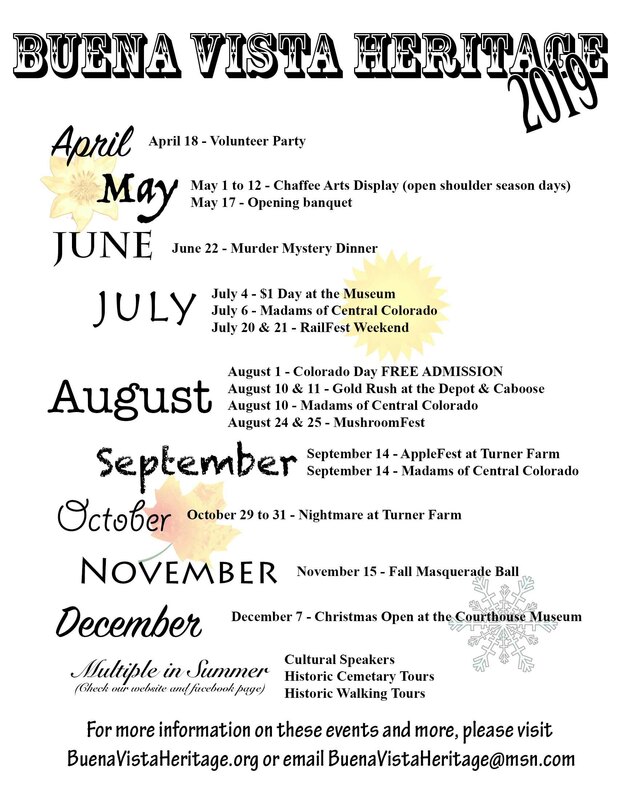 To schedule an appointment or group tour for the Museum or Depot, please e-mail or call (719) 395-8458. 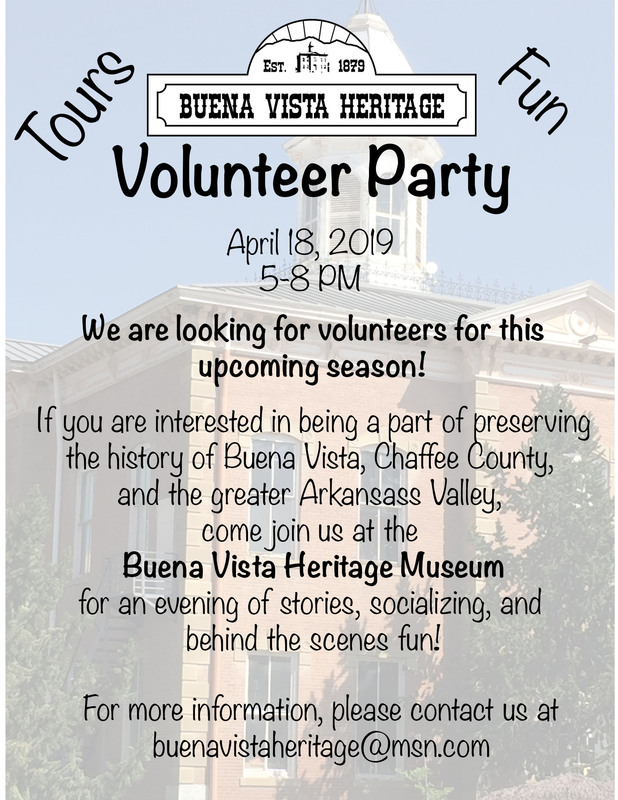 Buena Vista Heritage - Making History Come Alive!